What I wanted for Christmas for ten years in a row was simple and impossible: A room of my own. Our house is a cozy bungalow, we have three young daughters (who will soon no doubt be asking for rooms of their own), and by the time the issue became pressing—I was desperate for a quiet space to write—the housing market convinced us to stay put. Small is the new big enough. Except I really wanted—no needed—my own room. provided her with the freedom to spend her days with pens and paper. With money her time belonged to her—she answered to no employer, husband or child. She could afford the kingdom most writers require: Four walls and a door that closes. Somewhere. Anywhere. There were scant great women writers before the time Woolf wrote her essay. If Shakespeare had had a sister, Woolf tells us, she might have been as gifted as her brother (maybe more) but if she had attempted to reject marriage and make her own way in the writing world she would have most likely found herself pregnant and soon after killed herself out of despair and shame. She would not have written. There are numerous theories about why women did not write: They couldn’t jump on a ship and live a life of action (even though a few did). They had children to tend (a few didn’t). No one would publish a woman. (Who knows how many women writers pretended they weren’t—women that is—and got in to print?) I find Woolf’s argument the most compelling: It’s not how far out you go that makes you a writer; it’s how far inward you journey, because the real dragons you wrestle are within. And for that you need a safe space with padded walls (for some of us), a door that stays shut, and a desk where papers stay where you put them. I got my writing room this last year! It took bundling my children together in one bedroom (which they have taken as an excuse for a perpetual slumber party) and embracing a closet as my little piece of heaven. My writing space is the coldest, tiniest room in the house and right off the kitchen, so usually under siege by one child or another. But I love it. When the carpet I saved up for was put in, my little room became an island of cerulean green. I would not let my kids come inside for the first week. I lay on my new soft floor as if I were ten years old and had been given a tree house. Then I set up my desk like an altar, opened a notebook, lined up my research, and took control of the book I’d been piecing together for years. Sometimes I stared out the windows and watched the squirrels flit along fir trees in the back yard. Mostly I wrote. Like crazy. In those years before I had “my room” I went off to motels so I could finish a chapter, rented a room facing the ocean in the off season so I could get back inside a character I needed to flesh out, and hid in the corners of coffee shops, where I filled legal pads with some wild and random thoughts and even got some work done. I took precious time and money–my own money, Woolf might point out–for those escapes. I cried driving away from my kids, but still I went, unsure if all that work would come to anything but my needing to try. The dream of all writing rooms. 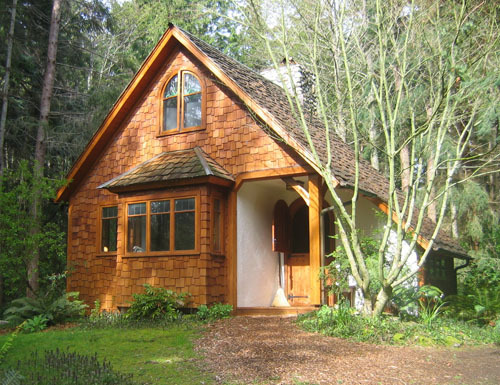 The cottage assigned to me for the Hedgebrook Residency. 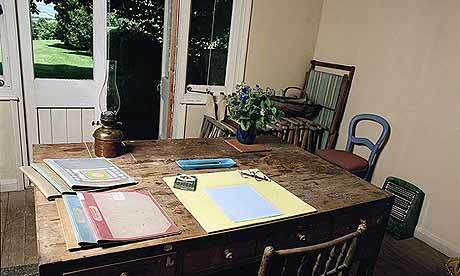 a writers residency at Hedgebrook Farm, which provides women with the ultimate of writing rooms–a cottage all to yourself, complete with gourmet meals, a wrap around desk and a sleeping loft. I cried with gratitude at being given such glorious permission to write and a beautiful place to work on my novel. While a writing residency strengthened my confidence and certainly helped my book, the greatest gift has been this room (from which I now write) in my own house, an unchanging refuge I can duck into every day as soon as I wake or a sudden window of time opens or when I claim a whole day to work on a new story or revise a section of the novel. 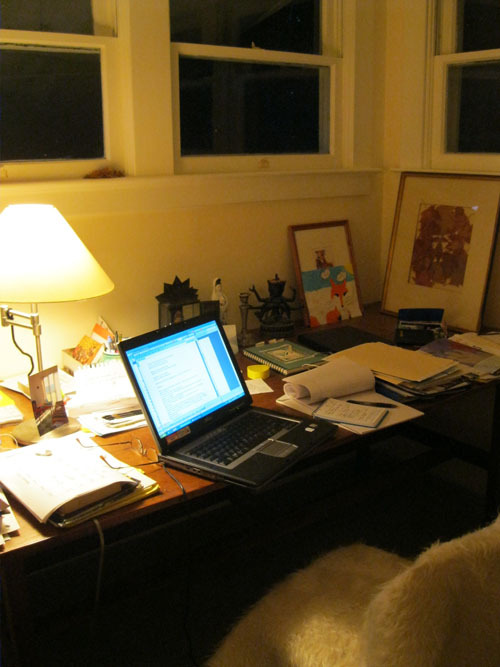 The writing room is a sacred world. Spend enough time inside and the distance you go with your imagination, the words spilling out before you, becomes who you are. Inside you is the room, and you are unlimited. You are like Max in the story The Wild Things, whose “walls became the world all around.” I have hundreds of new pages—stories, poems, and a novel draft that is so far beyond what I had envisioned when I started. Woolf implored those women of the 1920s to write, to find the space and the time and to apply their growing financial power wisely. She admitted “it may be a fantasy” but she’d like to imagine a day when Shakespeare’s sister is brought back to life and gets her due, and the only way to do that is on our pages. Get a room! For the sake of art. Yours. You can also give the gift of a writing room to women in Afghanistan. Writing in their homes is often not safe or possible. A new safe space for writers has been established by the Afghan Women Writers Project. 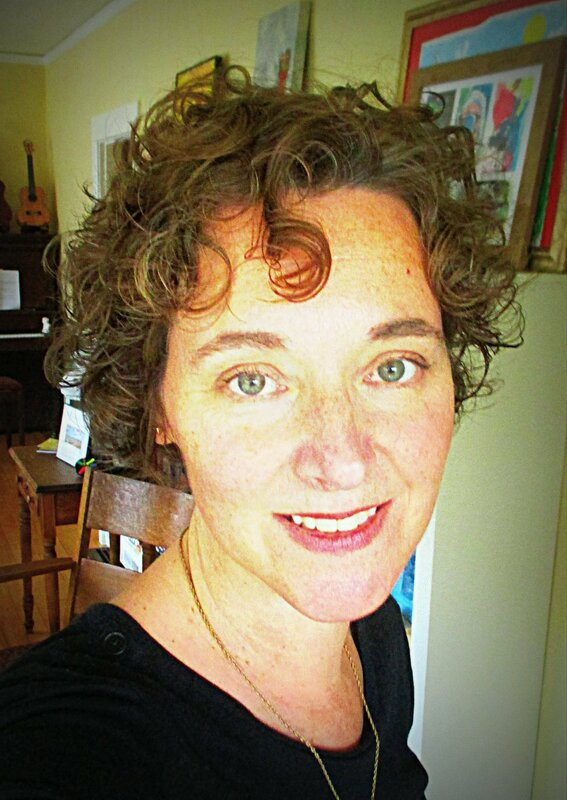 It provides a crucial, protected refuge for female authors. (http://awwproject.org).